The location of the old sweet smelling biscuit factory! Description: James Peek and George Hender Frean founded the company at Dockhead in 1857. Nine years later they moved to Clements Road where the factory remained until 1989. Built in 1866, Peek Frean and Co's biscuit factory gave Bermondsey the nickname 'Biscuit Town' for popular creations that included the bourbon and the Garibaldi. It employed generations of local residents. 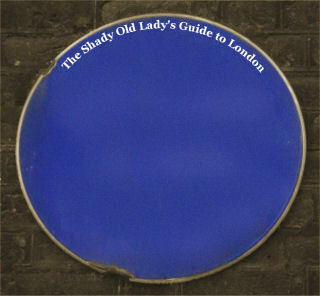 A Southwark resident who voted for a blue plaque, said: Peek Freans was on my way to school - each morning, walking along Drummond Road, it would be a guessing game. What was being made today? Sweet or savoury? 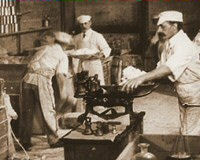 In summer the doors of the factory would be open and you could see the people in white aprons packing the biscuits. The sight, the sound and the smell, it was Bermondsey! The Peek Frean and Co biscuit factory provided Bermondsey and Rotherhithe with a major source of employment until it closed in 1989 and for decades the area was known as Biscuit Town. James Peek and George Hender Frean built the factory in 1866 and the Franco-Prussian war of 1870 brought the company to prominence, when ten million fine navy biscuits were ordered for the troops. 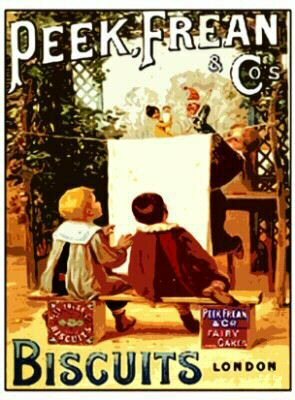 Celebrated lines invented by Peek Freans include the Garibaldi (1861), Marie (1875), Chocolate Table (the first chocolate coated biscuit in 1899) and the Bourbon (1910). With the cocktail age came Cheeselets and Twiglets in the 1930s. The company pioneered the supply of medical, dental and optical services to their staff as well as founding clubs ranging from athletics and cricket to music and drama. Staff magazines including The Biscuit Box and PF Assorted also brought together a workforce which numbered 4,000 by the 1940s. Peek Freans biscuits can still be purchased in the United States and Canada (see the link). Odd fact: The Peek Frean factory in Toronto is located in Bermondsey Road. It's also the factory that invented the Twiglet!